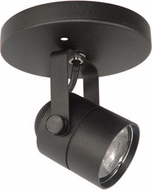 At Affordable Lamps, you'll find one of the largest selections of track lighting heads for your home, art studio or gallery space. 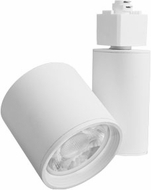 Track lighting is an effective way to provide superior accent lighting to illuminate paintings and sculptures, but it can also be used as high-quality ambient light or task lighting in a kitchen, office space, bedroom, workshop and elsewhere. 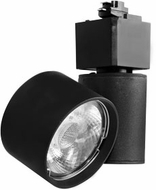 These track light heads are sleek and modern, with styles ranging from minimalist fixtures to chandelier heads, ultra-modern canisters, colored glass shades and much more. 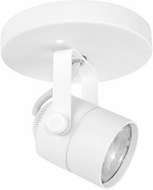 Most of the fixtures are fully adjustable, and there are also track heads for FreeJack, monorail and monopoint systems. 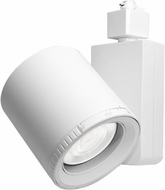 You can choose from many kinds of finishes in both halogen and LED track heads. This includes chrome, matte chrome, bronze, black, white, satin nickel, brushed steel, rust and various colors. Are you looking for a silver track head? One of the satin nickel or brushed steel styles might just fit the bill. 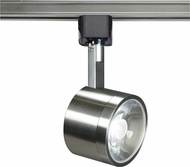 Whatever style of track lighting or monorail lighting system you have installed, chances are good you'll find the perfect track light head in our collection.